Cheap Furry Slap Bracelets - 12 Ct.
Furry Slap Bracelets - 12 Ct.
Fun and fashionable prize for any carnival! Rubber Punch Balls - 12 Ct. Slap bracelets are fun and fashionable. 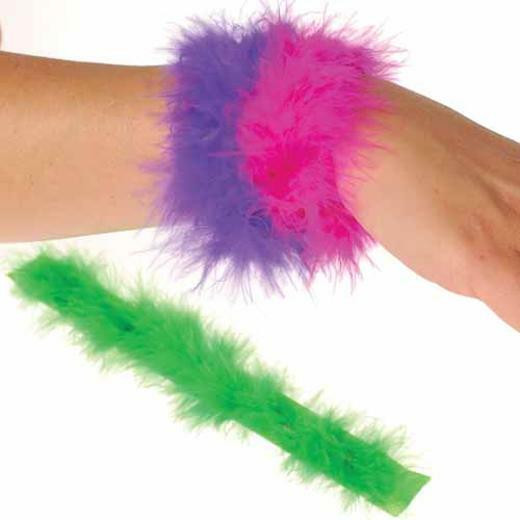 Slap the furry bracelet on your wrist and it folds up to wear. Need an idea for an inexpensive party favor bag filler? Jewelry items are a great choice. We have rings, bracelets, beads, and necklaces that will appeal to both boys and girls. We also have lots of jewelry items suitable for dress up, pretend play and costume accessories. L: 11.85 in. W: 2.7 in. H: 1.35 in.